So, you want to hit the road, but aren’t looking for a typical interstate experience. If side roads winding through small towns still too civilized for you, then I urge you to check out the following routes, which are equal parts remote, challenging and, well, unpaved (at least in many instances). Another common trait? Five of these are in Quebec and eight of the ten are on Canadian soil. Every one of these lie above the 45th parallel, and while there is plenty of desert driving in the Southwestern U.S. – I still don’t think any of those roads hold a candle to these. 10. Mackenzie Highway – Alberta/Northwest Territories — The Mackenzie Highway is a perfect road for the beginning adventurer. This rather well maintained road runs right through the top of Alberta and into the Northwest Territories – but you’ll have to take a ferry as you near Fort Providence, NWT as the Deh Cho Bridge project isn’t scheduled to be completed until the Fall of 2012. 9. Ingraham Trail (Highway 4) – Northwest Territories — The Ingraham is probably one of the easiest drives of this bunch, the challenge being that you have to drive the entire Mackenzie first. The trail is a paved road for most of its 43 miles and was originally intended to be much longer (forging a way into the center of the sparsely populated territory). The road provides access to the town of Dettah as well as another small community, various lakes and Hidden Lake Territorial Park. 8. Route de la Baie James (James Bay Road) – Quebec — This one is basically a straight shot from the already remote town of Matagami all the way up to Radisson, QC near the James Bay. The road splits of and one could drive a little further to Chisasibi and Fort George near the Bay itself – coming close to Nunavut territory (the islands in the Bay are Nunavut’s). The James Bay Road has a 236-mile stretch without services – the longest such stretch in Canada. Veteran Canadian Road-tripper has fashioned a very informative site on the road, as well as a few others on this list. 7. Dalton Highway/North Slope Haul Road – Alaska — This might be the most famous of the remote roads in North America. The Dalton Highway essentially begins (or ends) the PanAmerican Highway and takes one all the way to (or near) the Arctic Ocean. It’s been made very popular by History Channel’s Ice Road Truckers and Milepost magazine. It also had the longest space between service stations of any road in North America. 6. Dempster Highway – Yukon/Northwest Territories — Canada’s version of the Dalton, this one heads up to the Northernmost parts of the Northwest Territories to the town of Inuvik. It’s one of the longer drives – clocking in at 457 miles – and can be treacherous year round, with very few services and wet and muddy roads during rainfall. 5. 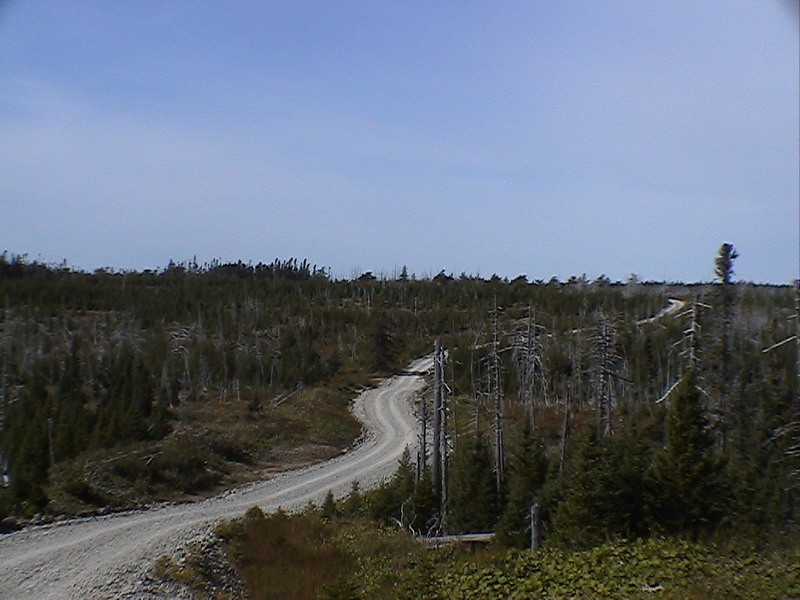 Golden Road/Telos Road – Maine — The Golden Road and Telos Road (among others) make up the muddy route through the Northwestern Maine wilderness. Other than a trip to Baxter State Park, these roads essentially go nowhere – which is exactly the appeal. Forestry companies having logging outposts out here and some roads are deemed private – so watch where you go. 4. Route du N (North Road) – Quebec –A much less talked about route when your talking about Northern Quebec. This is comparable to the Golden Road in that it’s not really intended for regular traffic – but logging truckers. It connects Chibougamau with the James Bay Road. The Rupert River Gorge would be the reason to take up this serious back road effort. 3. Quebec Route 389/Trans-Labrador Highway – Quebec/Labrador — An absolute behemoth, clocking in at 1,110 miles if you plan to drive from Baie-Comeau, Quebec all the way into the Labrador wilderness and through to the Atlantic ocean, then down the coast back to Blanc-Sablon, QC where you can take a car ferry to Newfoundland if you wish (and take another ferry back to mainland Nova Scotia from the west coast of Newfoundland to complete a truly epic drive). This road will pound the life out of your car – or at least try to. Gravel roads give way to deep mud and huge rocks – especially around Churchill Falls. They keep working on paving this entire thing – but it’s about 80% gravel through the wilderness. Watch out for moose! 2. Route Transtaiga (Trans-Taiga Road) – Quebec — This one is a true beauty. The Trans-Taiga road picks up where the James Bay Road left off. Taking one further east and slightly more north into the nothingness. Again Muma’s site has a lot of detailed info on this road – but unless your going to go for the remoteness of it all, there is really nothing to see here save for a few outfitters and a lot of mosquitoes. Anticosti Island (see main photo – courtesy celmar/panoramio) – the 90th largest island in the world at over 3,000 square miles is home to a couple hundred or so Quebec people in the middle of the Gulf of St. Lawrence. The island is spearheaded by it’s de-facto “capital”, that being Port Menier. It’s not that easy to get to, with your only options being a semi-regular seasonal cargo ferry and chartered plane. Route de l’ile d’Anticosti connects Port Menier with various aerodromes and outfitters along the way through Anticosti National Park (technically a Quebec Provincial Park – they are all “National” parks in Quebec) to the eastern shore. It’s not surprising that given the remoteness of this road and the fact that very few people venture to the island – there really isn’t much information on this road…I wouldn’t even know how to get a car to the island, let alone drive around it in the first place. What’s there to see and do? Lots of boreal forest and fishing from the looks of it.